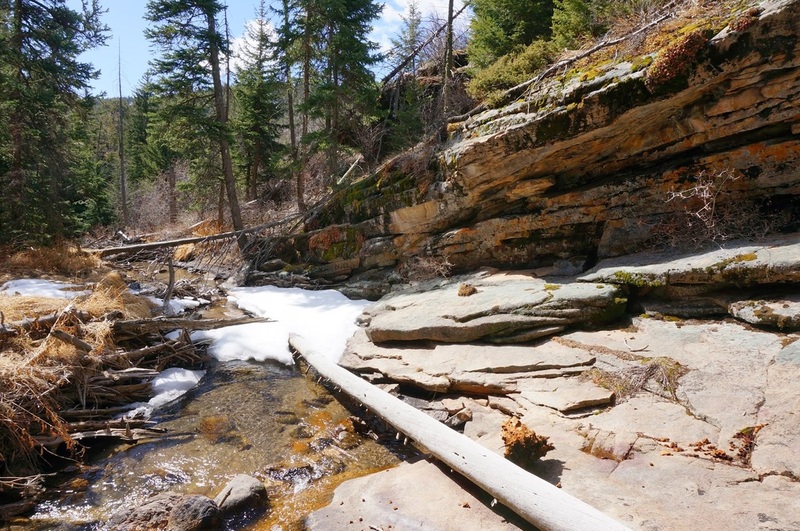 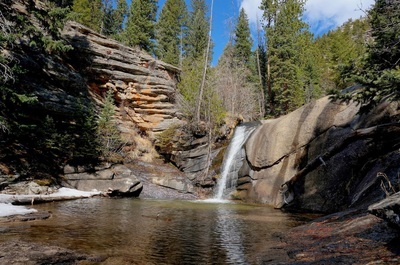 Directions: This hike starts at a hidden gem, the Cow Creek Trailhead, in the northeast portion of the Park. 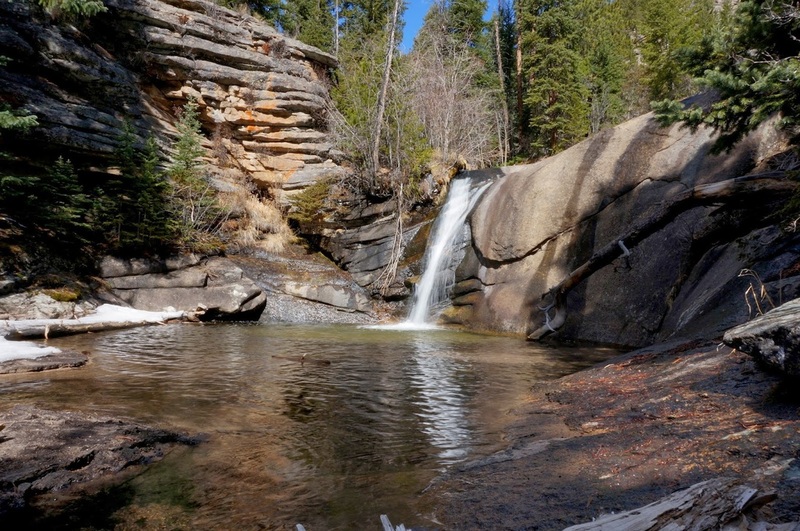 In Estes Park, take Hwy 34 (Fall River Road) north and make a right on Devil's Gulch Road. 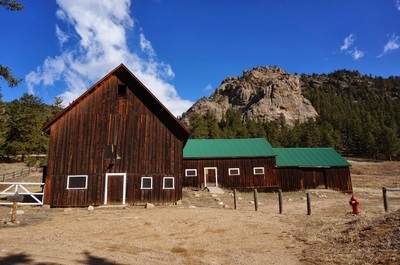 Take Devil's Gulch Road past the Lumpy Ridge Trailhead and make a left on McGraw Ranch Road. This road ends at the McGraw Ranch which is where the Cow Creek Trailhead is situated. 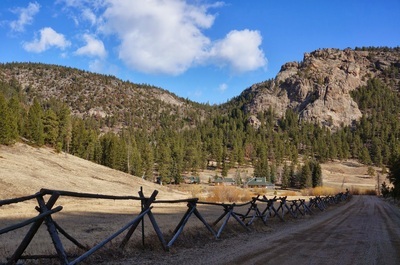 There is no fee to enter the park here. 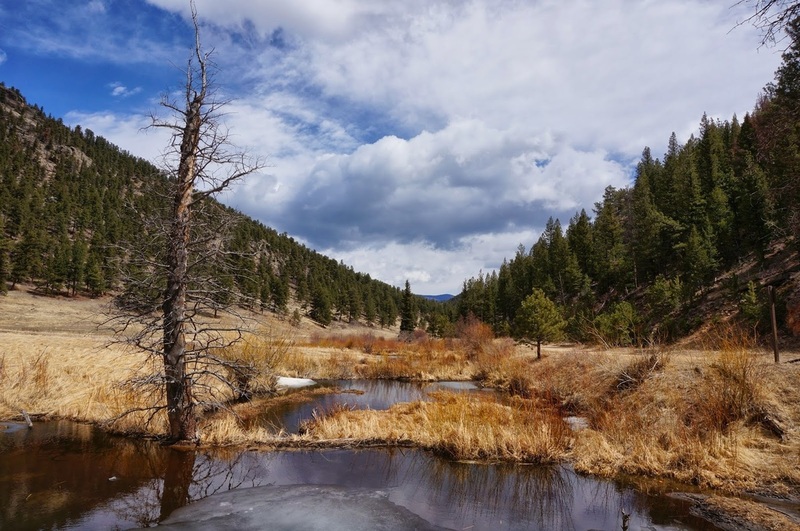 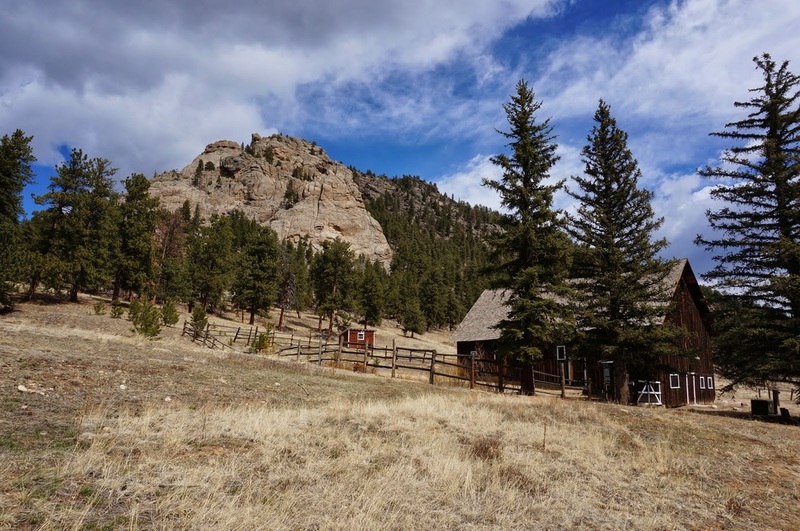 The northern portion of Rocky is a hidden treasure, barely anyone makes use of this area and while it is certainly less dramatic then Bear Lake or Trail Ridge Road, it has a charm all its own. 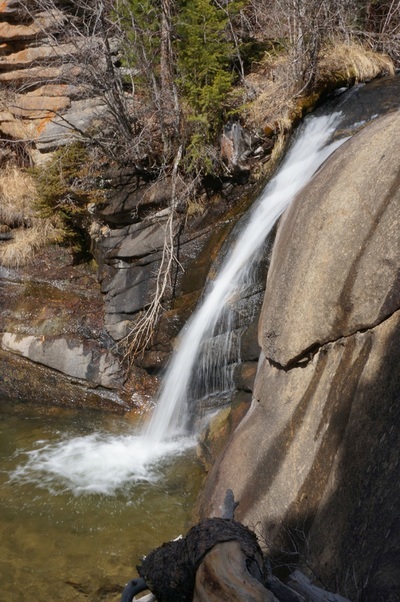 Rolling hills, warm forests, rivers, waterfalls, rock formations, solitude...do not overlook this area. 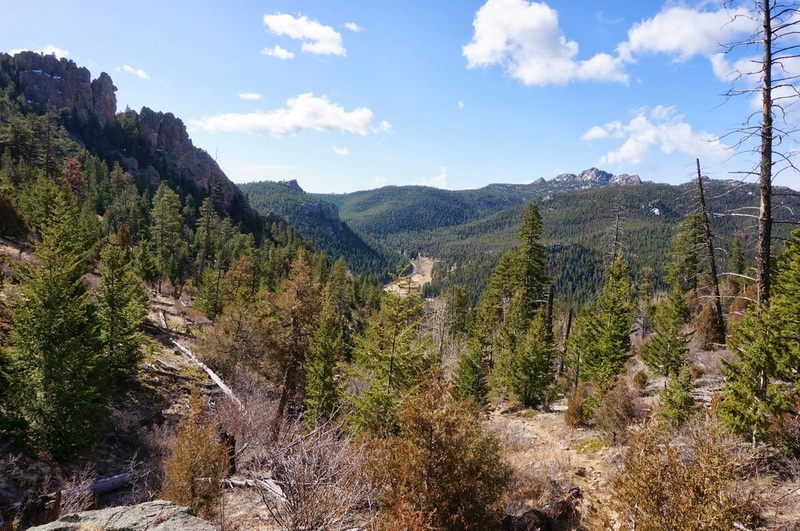 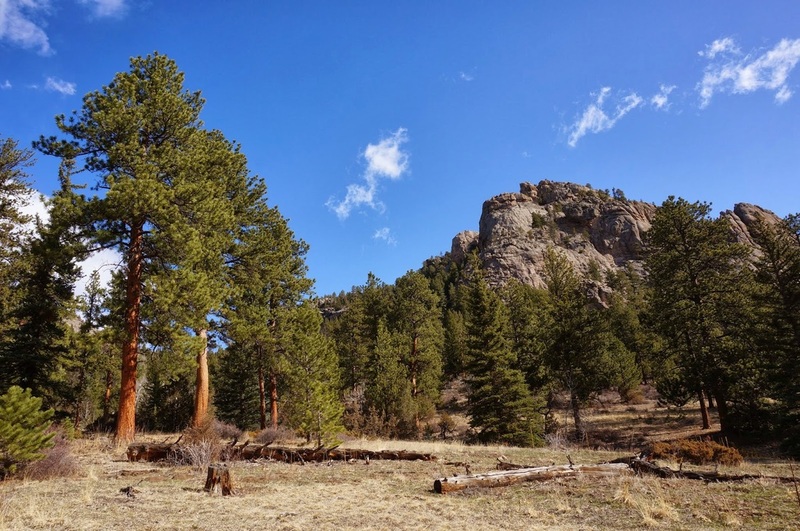 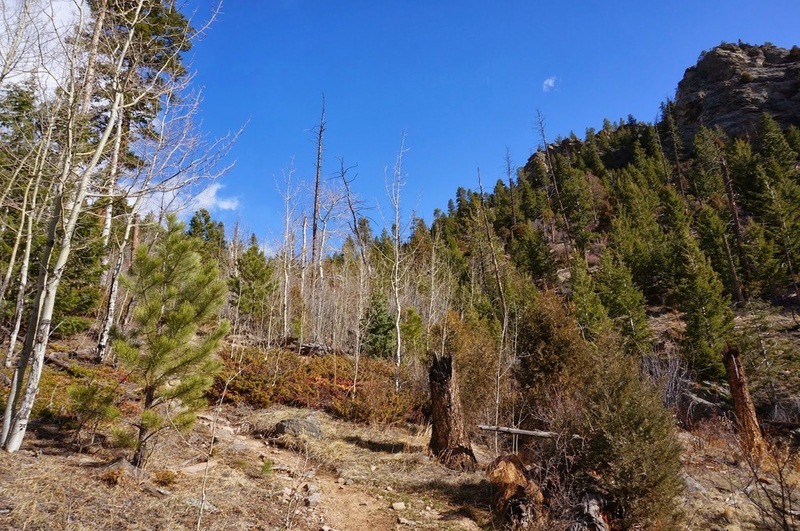 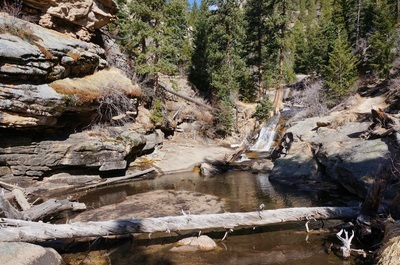 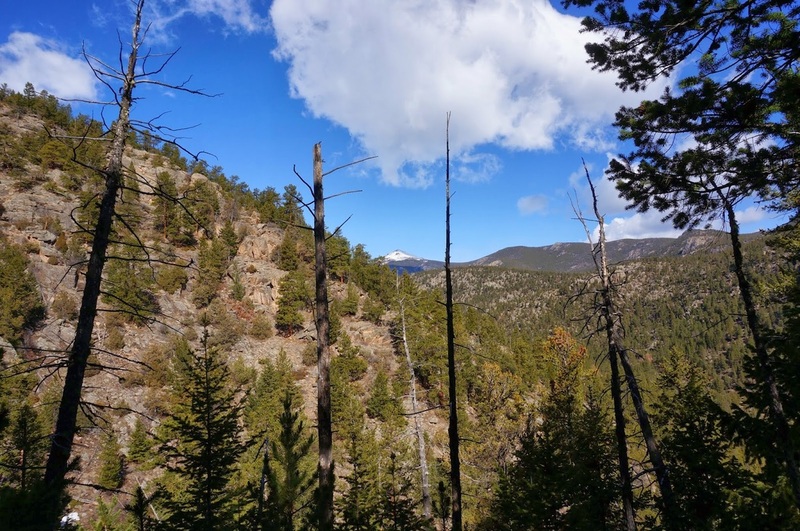 This hike starts in the park but quickly leaves the park and passes through the Comanche Peak Wilderness Area of Roosevelt National Forest. 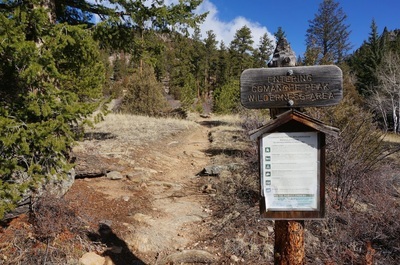 First, walk through the educational ranch and turn right at the trail junction, it is well signed. 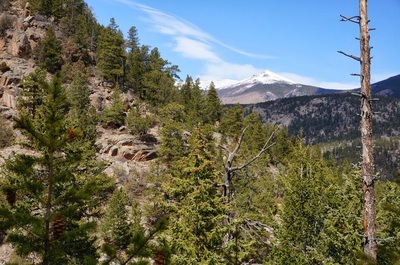 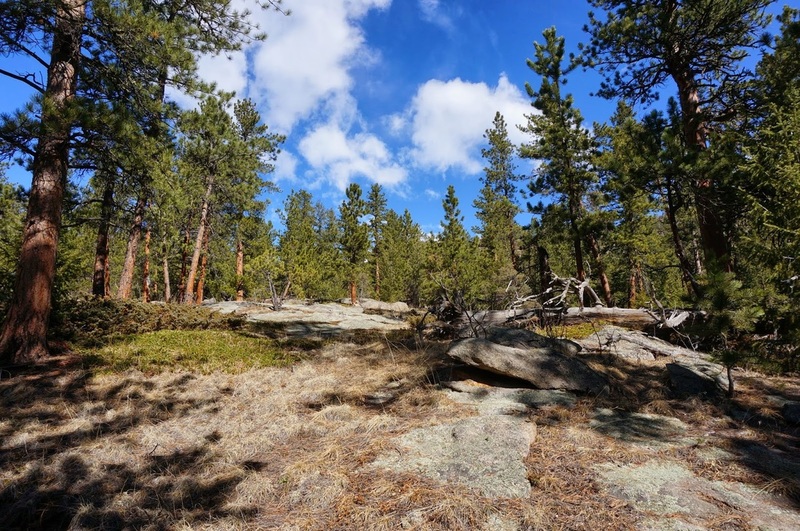 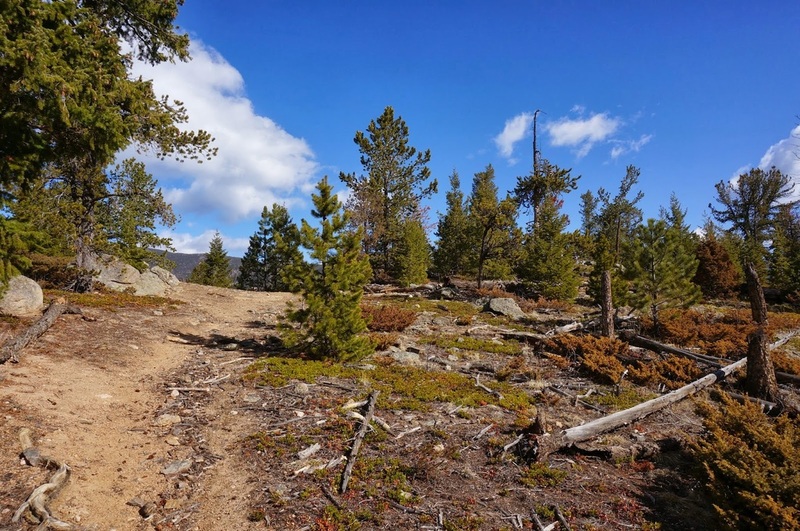 The hike really starts by ascending a steep trail through a sparse pine and aspen forest with nice views looking back to Lumpy Ridge. 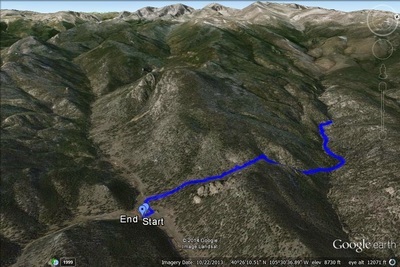 After a good climb you wind up on a saddle looking north. From here, descend down to a creek crossing. 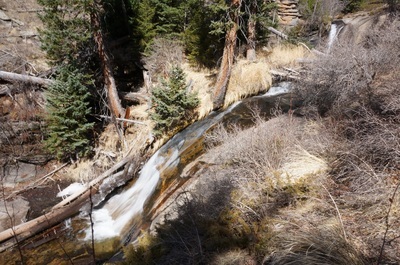 Follow the creek and wind though open meadows and pine forest. 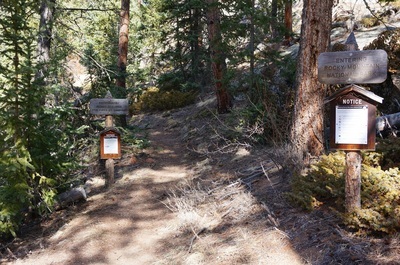 Bear left at the trail junction following signs to West Creek Falls. 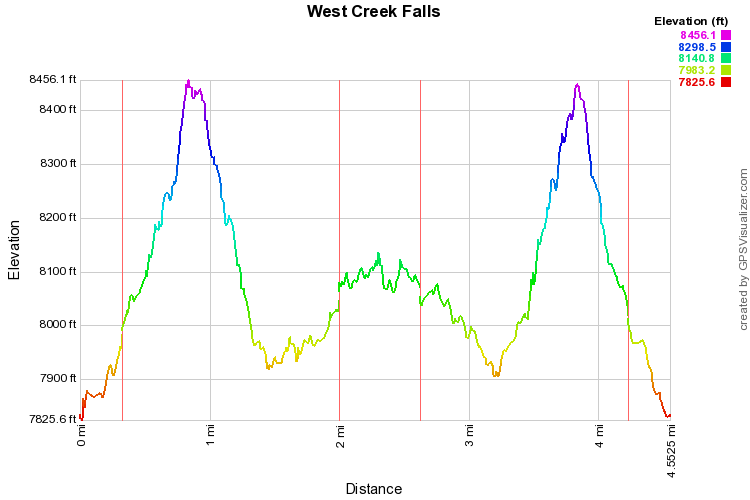 Soon after the trail junction you'll cross back into Rocky Mountain National Park, following West Creek. 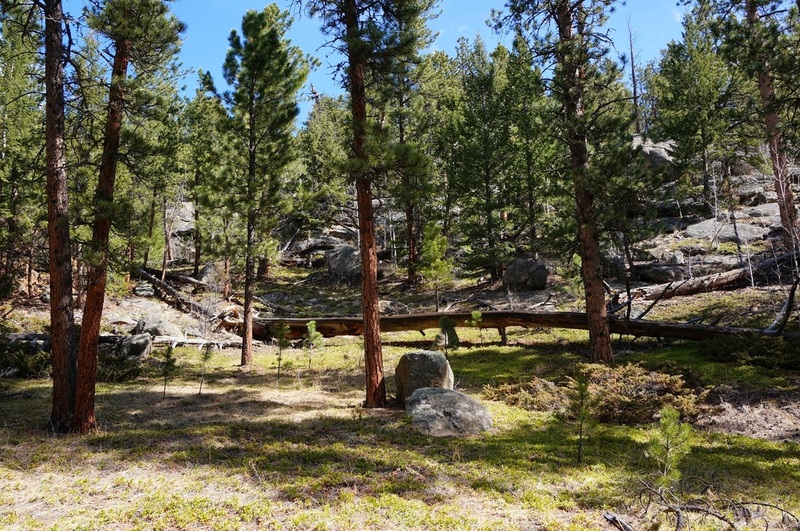 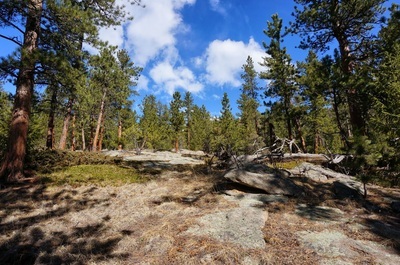 This part of the park is a great area to explore in the spring time, while the rest of the park is still under multiple feet of snow, this area is hikeable without spikes or snowshoes. You'll forget that summer is still months away while enjoying these trails.